ASIC has ordered the CBA to stop charging financial planning fees. 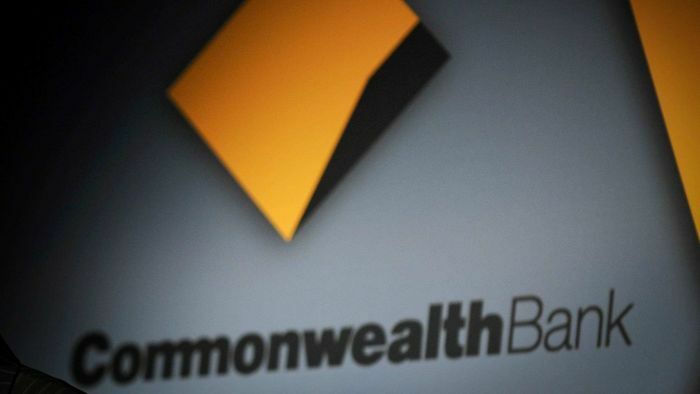 Australia's largest bank says it will stop charging fees for no service for most of its customers from April, within hours of ASIC accusing Commonwealth Bank of failing to take reasonable steps to compensate them. Hayne calls for the simplification of the law. And by simplification he calls for the removal of special rules, carve-outs and exceptions. This will go a long way to improving consumer outcomes. A big change in the regulatory thinking of financial services law. The fundamental ‘norm’ must be cleared outlined. That is, why is a law written. That way, industry lobbyists can’t argue away good, sensible reforms. Big news! In November 2018, Hayne personally recommended to ASIC that two firms be recommended for criminal charges for fees-for-no-service. Fines are up to 10 years prison and/or 10% turnover. 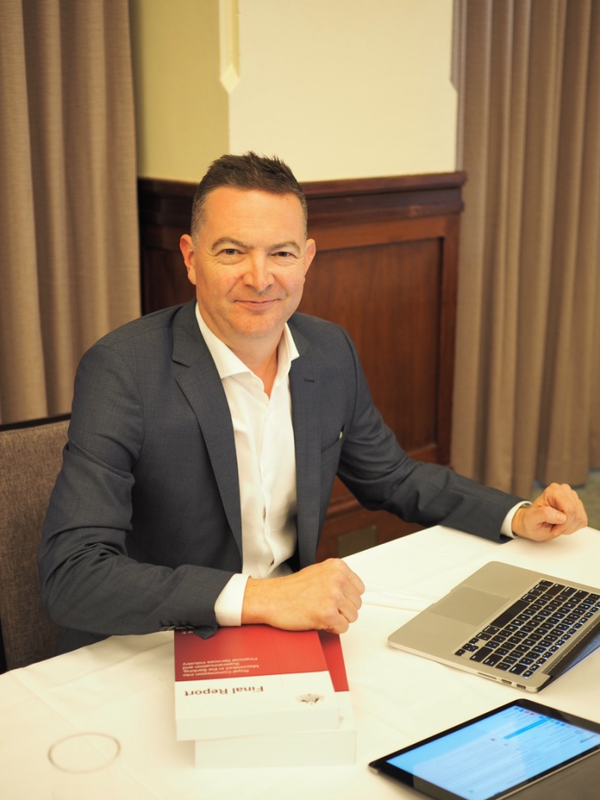 Here’s our CEO @AlanKirkland getting stuck into the report earlier today. “Go To Jail. Go Directly To Jail. Do Not Pass Go. Do Not Collect $200 Million”. Just released on the CHOICE website. 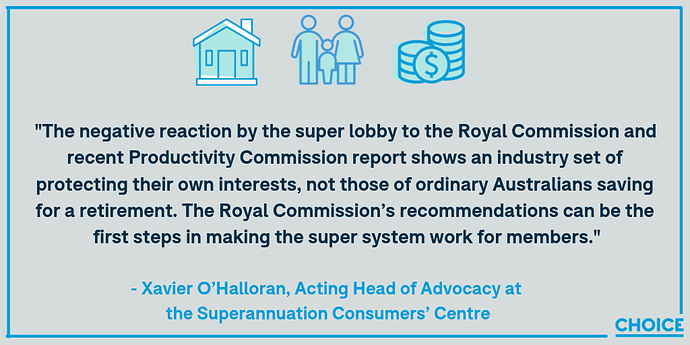 After decades of fighting for our rights when it comes to banking, insurance and superannuation, consumer advocates from across Australia have been given early access to the banking royal commission final report. Yet another article regarding the bottom-feeding banks. 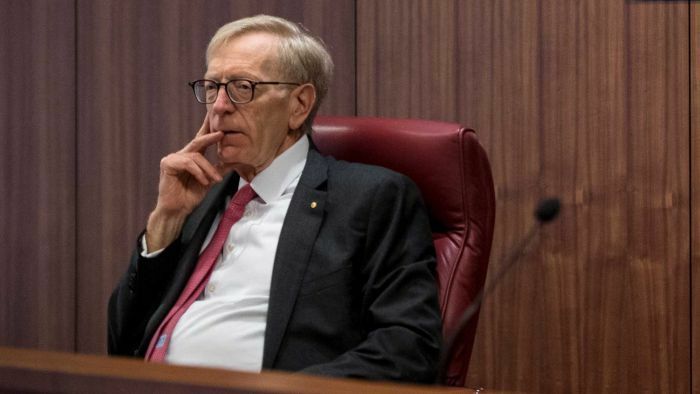 Rather than a radical overhaul or a massive restructure of the system, the royal commission has taken aim at exactly where it will hurt our major financiers. But the pain won't stop there. Here’s @AlanKirkland discussing the final report in Canberra today. This is of absolutely no help when we know that many bank employees and others just faked signatures! It doesn’t appear that anyone has posted a link to the report, so here it is. There are three volumes, but the first is the key with the others being case studies and appendices. They are in PDF and Word format. Recommendations commence on page number 20/actual page 54 of volume 1, ending on 42/74. Who defines ‘serious’ or ‘compliance’? The trustee of an RSE should be prohibited from assuming any obligations other than those arising from or in the course of its performance of the duties of a trustee of a superannuation fund. Is it just me, or is this stating the bleeding obvious? Several recommendations refer to making industry codes that contain ‘enforceable provisions’. I suspect that this is a weak-sauce version of regulatory control that will be honoured more in the absence of enforcement. Banks should implement fully the recommendations of the Sedgwick Review. Note: In general terms, these minimum gateways would require ethical behaviour, a customer focus and similar behavioural traits. Now the RC has me thinking of who killed Laura Palmer! The ‘twin peaks’ model of financial regulation should be retained. Edit 6: my view of the recommendations. The Commissioner has been incredibly gentle on the industry, with the exception of mortgage and insurance brokers. I suspect perhaps too gentle, but we shall see. We shall also undoubtedly see bank profits continuing to rise while consumers pay the bill - this report goes nowhere near addressing the elephant in the room of bank consolidation and lack of competition. Regardless of what the government or opposition say, nothing will be changed before the election. Between now and then we can expect our politicians to be lobbied ferociously, and perhaps a few more retirees to be appointed to comfortable banking positions (ABA chief executive is former Queensland Premier Anna Bligh, setting a strong example for other ex-politicians). I suspect, in summary, that while a few heads will roll the industry will continue to do what it can to get away with whatever it thinks will make a buck. With that in mind, the Sedgwick Report is really the one to turn to given its focus on remuneration. The Govt are already signalling/advising they are going to water down some of the recommendations and are also basically hamstringing the body to oversee APRA & ASIC. 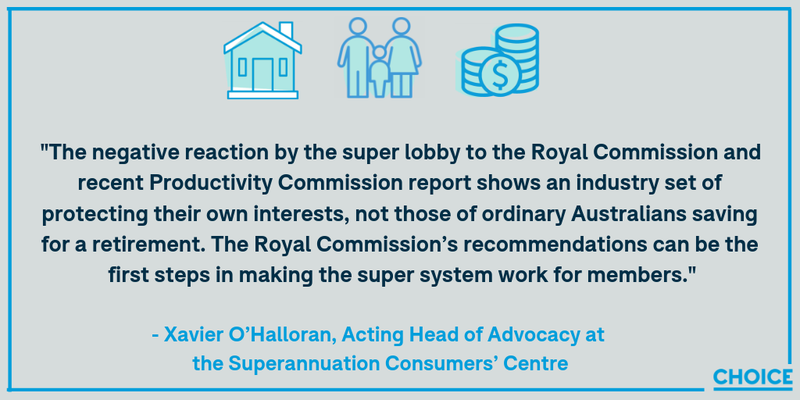 The Super Industry had someone on the ABC stating how in the last 12 to 18 months they have already put in place new enforceable requirements for the Super Industry. I wonder how much was actually done because of the Commission rather than any organic need to improve…am I being a cynic??? My meter on this touches the BS end of the spectrum but others may certainly disagree and say that the Super Industry came to this moment out of pure care and consideration for their clients…but then again they may have depending on how they determine who their clients are. The Banking & Super industry has so much power and influence it would be a very brave Govt that tackled their need for control. If I look into my smoky quartz crystal ball trying to get a crystal clear picture all I see are hazy grey and blackish swirls. Are there any industries where self-regulation has been effective? I can’t think of one. No one as far as I know has looked at the cost of the Royal Commission into Banking. How much did the banks overcharge us in the bad old days. Post RC, the extra cost and bureaucracy that you will incur in borrowing money? Could be 1 will be the same as 3? That depends on whether you are ‘the industry’ or ‘the customer’. If you are ‘the industry’ they have all been effective to help you enhance your profits by whatever means you might desire. Investing is not a bank account guaranteed by anyone. It is gambling by another name when it is about the share market. One view is that investors, by their ongoing wilful ignorance of what has been going on, are at least indirectly complicit, whether individual shares or though super or funds. It is called red tape by some and consumer protection by others. Has the RC revealed that red tape is not needed? Our banks have long been among the most profitable in the world off a small population base in a small economy. Seems there are some dots that might be connected. Would that comment be implying everything has a cost while nothing has a value, or that ‘cost’ (however broadly defined) is all that matters? Our government vows to take action. Digging a hole is action. Building a fire is action. Labor accepts the report’s recommendations in principle. First, how much has the Royal Commission cost? Well, directly you’ll be able to see the full cost in the annual report of the Attorney-General’s Department. On page 20/32 of the 2018-19 Attorney-General’s Portfolio Budget Statement the estimated actual cost for 2017-18 was $27.4m while the budget for 2018-19 was to be $31.4m. That doesn’t include financial assistance for witnesses (page 17/29) of $2.9m in each year. Considering how the banks have been gouging customers to the tune of billions over the last few decades, that’s a small price to pay. 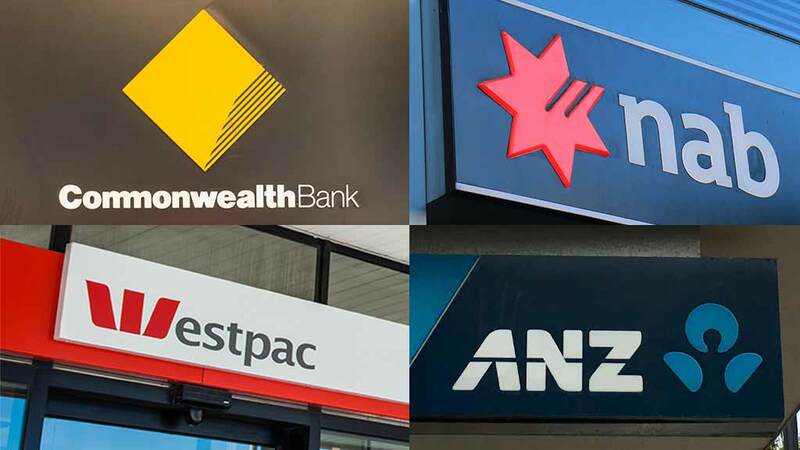 Australia’s banks are the most profitable in the world, according to the Bank for International Settlements in 2016. Not much has changed since then. Looking at the wider costs of bankers becoming more prudent, I expect that will be of benefit to many Australians. Banks are already being more cautious when lending money, although I would be surprised if they continue in this manner. You may want to look at the victim statements and case studies on the RC website to see how much under-regulated financial industries can cost individuals and companies. 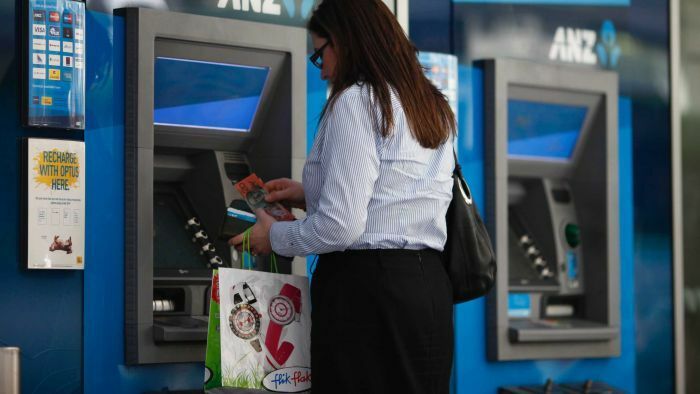 How much did the banks overcharge us in ‘the bad old days’? It is impossible to say unless you define when you mean. We have been in those ‘bad old days’ during a couple of decades of bank deregulation and consolidation, in which bank executives pay themselves ridiculous amounts and squeeze crazy amounts out of their ‘customers’ to pay the shareholders. They have not been competing at all, as you can see ever time interest rates are changed by the RBA. The RC hit the banks with a wet rag rather than the full force of the law and ethical expectations. The Commissioner specifically stated that he did not want to affect Australia’s financial stability, and his recommendations reflect that to what some might consider an extreme extent. 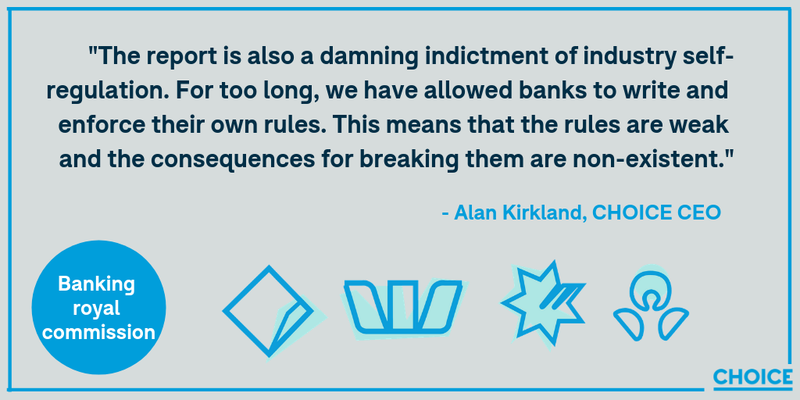 The banks have been poorly regulated, and the RC has made that very clear. Now let’s see what governments are prepared to do. Are there any industries where self-regulation has been effective? Effective at improving profits sure. Take the mining industry, I have been told directly by senior EPA officers that they cannot possibly verify all the environmental regulations they put in place. They rely on the industry self-reporting. Saves heaps all around. Everybody is happy.